Big Pet Protector Sale! BUY 2 (or more) - GET ONE FREE! The Pet Protector Disc is 100% chemical-free. It's natural and safe for animals and humans. It is safe for newborns, as well as ill and pregnant pets. It is effective on horses and other animals too! 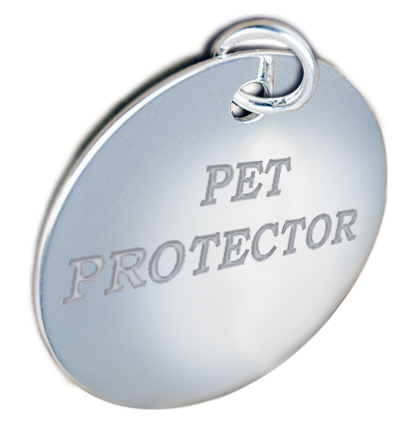 The Pet Protector Disc is a great money saver and is very easy to use. Simply fasten it to your pet's collar and your pet is protected from all external parasites for the next 4 years! "This is Chessie, she chases deer, rabbits, swims in a lake. She has now completed 13 months with the Pet Protector disc and has not had a flea or tick." In addition to enabling pet parents all over the world to order and receive the Pet Protector Disc within 72 h, thus protecting their pets from nasty parasites in the best possible way, we wanted to make sure they get all the help they need to take care of their fur babies in many other ways as well. This includes knowing how to react in emergency situations and save the life of your beloved pet before you reach the nearest vet. 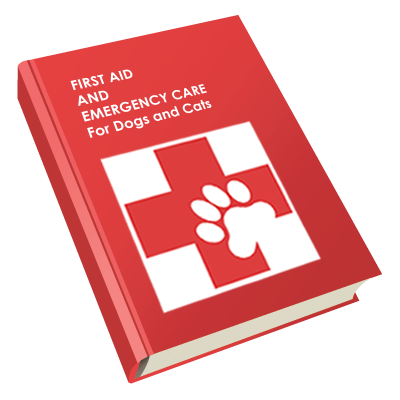 Having the 'First Aid and Emergency Care for Dogs and Cats' e-Book available at all times is a must for every responsible pet owner and that's why we are offering this e-Book to you right now, for free. Simply enter your name and a valid e-mail address and we'll send it to you straight away. We hope you'll never need it, but having it around just in case, may save your pet's life. Want to know more about the Pet Protector Disc? © 2015 GOLDSTAR EAST PTE LTD | All Rights Reserved.